Thanks to its location and climate, the entire Setesdal Valley enjoys long and stable winters. From wide, open country to floodlit trails through the forest, you are guaranteed to find your own skiing paradise. 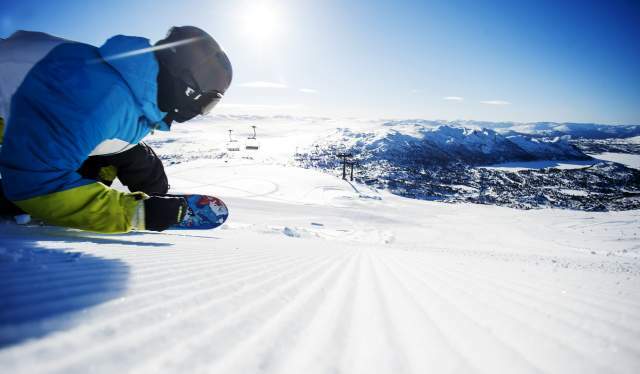 If you prefer hitting the slopes, Hovden is the largest alpine centre in the region. In Evje, the southernmost municipality in the valley, cross-country enthusiasts can take advantage of 120 kilometres of groomed trails in beautiful surroundings, including a floodlit trail. The season here lasts from December to mid-April. Going north, the season lasts even longer, and if you seek peace and quiet, the mountain plateau above Bygland will let you experience nature at its best. Here are no groomed trails, only untouched nature. If you are keen on alpine skiing, the Brokke Alpine Centre in Valle is well worth a visit. In addition, Brokke offers excellent cross-country trails, including a floodlit trail. Furthest north in Setesdal, in Hovden, the winter season lasts from November to May. The largest alpine centre in the region is still expanding and offers descents of all levels, as well as other activities and services. 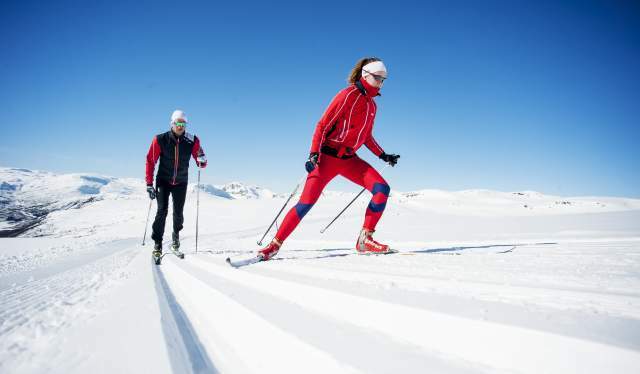 Hovden is also a paradise for cross-country skiers, with 190 kilometres of superb machine-groomed trails, including a popular floodlit trail. Brokke Alpine Centre is situated i Valle. A small, but very family-friendly centre. One 3-seat express lift and three ski-tows. The Hovden Alpine Centre offers you more than 34 kilometres of descent, a vertical drop of 420 metres, two 4-seat express lifts, five ski tows and a 2-seat chairlift. The lift capacity is 9,000 persons per hour. The villages of Brokke and Hovden are popular areas for skiing, whether you prefer the lowlands or the mountains, short or long trips, or maybe a training session. At 700-1200 m.a.s.l., the snow conditions are very reliable. The skiing season normally lasts from November to May. There are marked and groomed trails of all categories, for families with children to elite skiers. Online ski report available. In the southern part of the Setesdal valley, in Evje and Hornnes, the local sports club has an elaborate network of ski trails, mainly in the forest. Further north is the ski resort Brokke in Valle. Here, the trails are closer to the mountains, approx. 700 metres a.s.l. Even further north you may enjoy the extensive trail network at Hovden, leading up to mountain plateaus at an elevation of about 1200 metres. So far, Setesdal might have been an unknown climbing paradise, but its numerous waterfalls and mountains provide world-class routes both summer and winter. When winter has well and truly set in, the waterfalls turn into magnificent ice climbing spots.